Oh my stars. July is here and it is hot, hot, hot! Time to head to the beach or lie on a float in a pool and, of course, enjoy a cold libation. 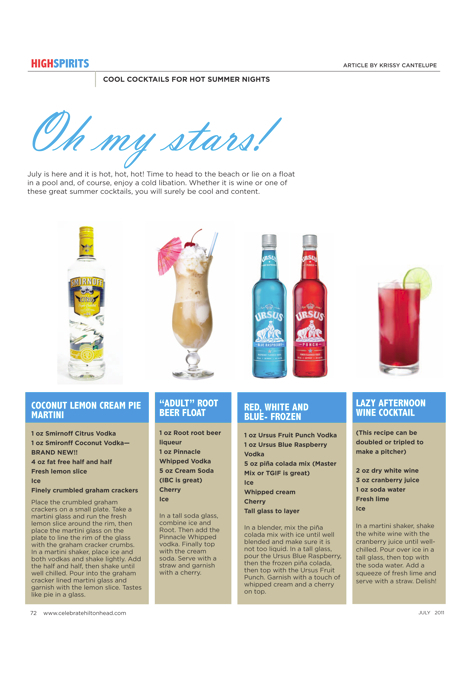 Whether it is wine or one of these great summer cocktails, you will surely be cool and content. 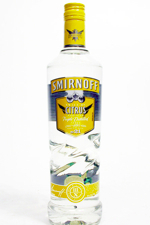 1 oz Smironff Coconut Vodka—BRAND NEW!! Place the crumbled graham crackers on a small plate. Take a martini glass and run the fresh lemon slice around the rim, then place the martini glass on the plate to line the rim of the glass with the graham cracker crumbs. In a martini shaker, place ice and both vodkas and shake lightly. Add the half and half, then shake until well chilled. Pour into the graham cracker lined martini glass and garnish with the lemon slice. Tastes like pie in a glass. In a tall soda glass, combine ice and Root. Then add the Pinnacle Whipped vodka. Finally top with the cream soda. Serve with a straw and garnish with a cherry. 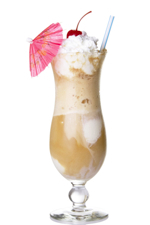 In a blender, mix the piña colada mix with ice until well blended and make sure it is not too liquid. 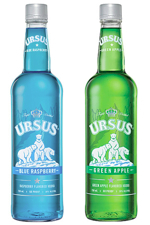 In a tall glass, pour the Ursus Blue Raspberry, then the frozen piña colada, then top with the Ursus Fruit Punch. Garnish with a touch of whipped cream and a cherry on top. 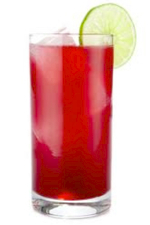 In a martini shaker, shake the white wine with the cranberry juice until well-chilled. Pour over ice in a tall glass, then top with the soda water. Add a squeeze of fresh lime and serve with a straw. Delish!